Finding the perfect Hot Wing recipe was no easy feat. I tried numerous recipes with no luck, so I decided to give it a try on my own. The wings turned out pretty good, but not great. So, I started my search again – I wanted needed a recipe that fit my specifications of crispy, spicy and delicious. 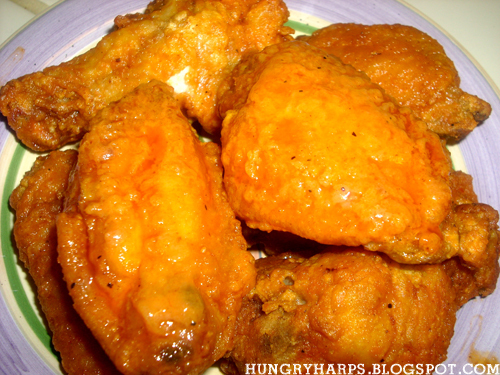 Well, the time has come… I have found the best Hot Wing recipe! Like you, I tried my recipe of HOT WINGS and never comes out, so I will try this and see how they come out for me. My son in California loves HOT STUFF so I may try to do this recipe and see how he likes them..